Money from the sale of a Lamborghini donated by the Pope will help Iraqi Christians forced from their homes by jihadist group Daesh (ISIS), Aid to the Church in Need (ACN) said on February 26, 2019. 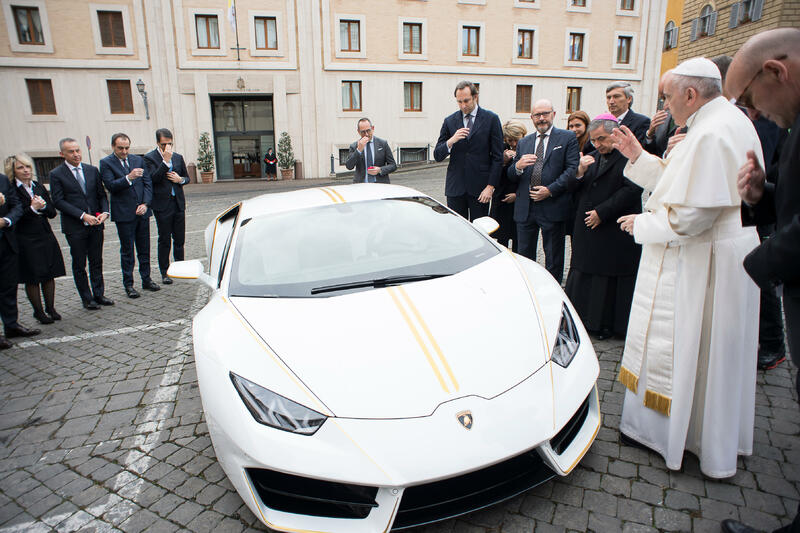 ACN received €200,000 (more than £170,000) to help displaced Christian families on the Nineveh Plains rebuild their villages from the sale of a custom-built Lamborghini given to Pope Francis. ACN will use the money from the sale of the Huracán Coupé to fund the reconstruction of two Syriac Catholic buildings destroyed during the fighting – a parish nursery school and multi-purpose center in Bashiqa village, 18 miles (30 km) from Mosul. Tickets went on sale at $10 (c. £8) in December 2018, and the competition ran until the end of January 2019. This is not the first time that Pope Francis has supported ACN’s work in Iraq. In 2016 he gave €100,000 (more than £86,000) in support of Saint Joseph’s Clinic in Erbil, which provides free medical help for IDP families who had sought shelter in the Kurdish capital. Many of the IDPs have now returned to their homes.